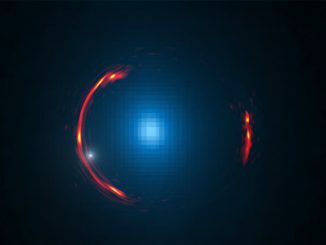 A radio and optical view of galaxy NGC 5643 shows the fiery core of a luminous Seyfert galaxy, powered by gas and debris being sucked into a supermassive black hole hidden by vast clouds of dust and debris. 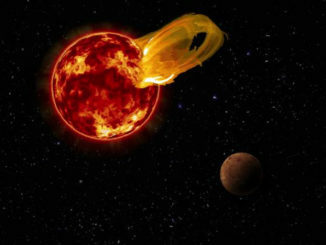 It is difficult to probe the shrouded inner regions of a Seyfert galaxy, but researchers using the Atacama Large Millimetre/submillimetre Array – ALMA – and the Multi Unit Spectroscopic Explorer – MUSE – on the Very Large Telescope have captured this view of electrically charged gas being ejected from the black hole’s accretion disk to either side of the core. 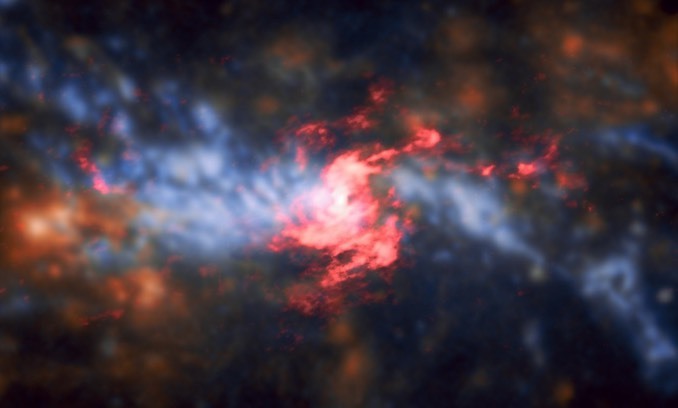 Cold molecular gas traced by carbon monoxide, seen in red, defines the galaxy’s rotating inner region. 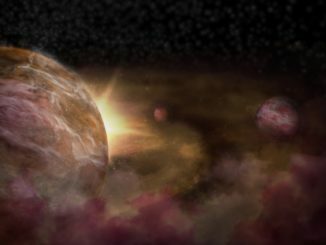 By measuring the motion of carbon monoxide molecules in a protoplanetary disc, two teams of astronomers have found three planets lurking in the rings of dust around a star just a few million years old.